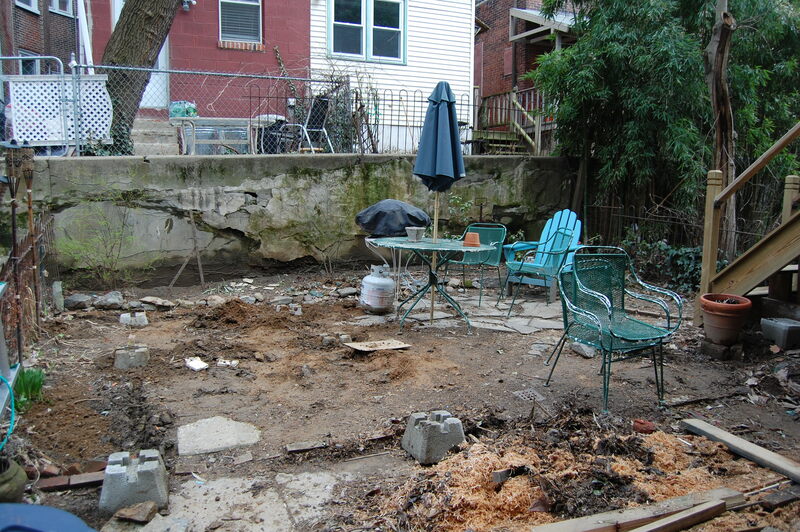 Privacy is hard to come by, living as we do (in West Philly) with many people in a small area…The things that we do in our outdoor spaces have impact all around us. So, enhancing your privacy and your neighbor’s at the same time is a bonus. Our back yard is directly connected to four others. The sight lines were initially pretty rough. Some of the neighbors only use their back yards for trash storage, some only as pet runs. 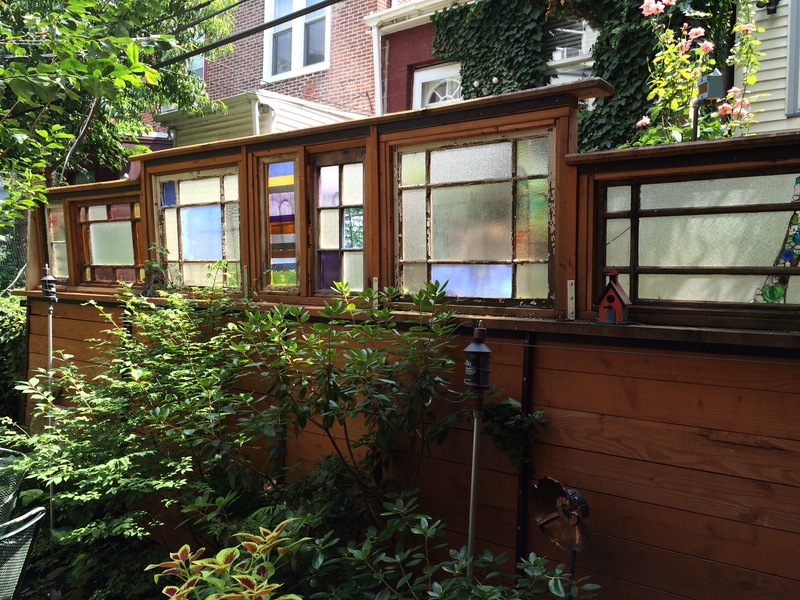 Only one adjacent neighbor has a garden… part of it we planted out (plum trees), part we fenced and in the rear, we designed and installed a timber wall, topped by recycled window frames. With the help of our friend Gordon Richardson ( a wizard with a four-foot level! ), the foundation was set, the timbers installed, and the windows were placed. The” before” situation. Pretty gnarlly. Also, fairly typical in West Philly, where lots of the houses are rentals, lots of the tenants are students…priorities differ. Here is the finished product. Our neighbors got a little upgrade as well.